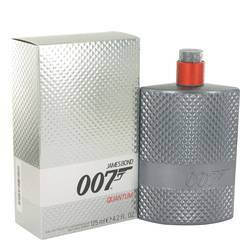 007 Quantum Cologne by James Bond, The casual cool of the world’s most famous spy is captured in 007 quantum, a fragrance from the scent experts at the james bond design house. Uncovered in 2013, this masculine scent has refreshing top notes of juniper berry and bergamot and middle notes of geranium and apple that combine for a sly fragrance that is equal parts subtle and powerful. Wear it to casual business meetings or more adventurous affairs if you’re looking to add a touch of mystery to your ensemble.